Posted on November 17, 2015 by Claudia Finkelstein. 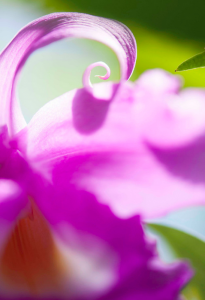 This entry was posted in Volunteerism. Bookmark the permalink. Healthcare organizations, civic agencies, non-profits, private businesses, and volunteers from across the State of Washington joined together to produce a giant free health clinic October 22 – 25 in Key Arena at Seattle Center. 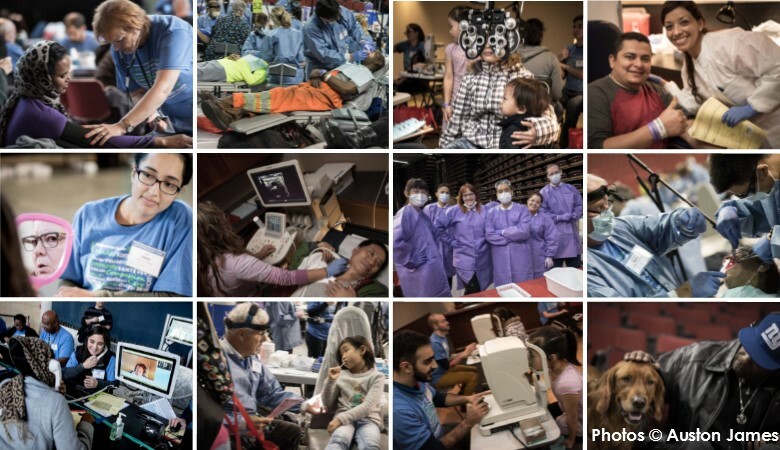 The four-day volunteer-driven clinic provided a full range of free dental, vision, and medical care to underserved and vulnerable populations in the region. The two medical directors of the clinic, Dr. Norman Beauchamp and Dr. Angelissa Paladin, are UW School of Medicine faculty members. This is the second year that they worked to help organize and execute the clinic, and they were just the tip of the UW iceberg of volunteers. The Whole U promoted the clinic as a volunteer opportunity and we promptly saw a large increase in the number of registered volunteers. 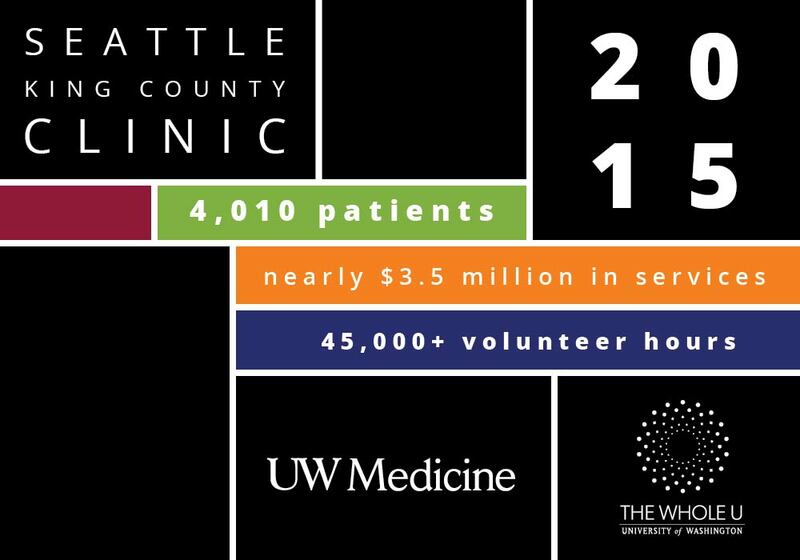 In the end over 320 volunteers from all walks of the UW community ended up serving at the clinic, making up over 8% of the total number of volunteers. Even more impressive, it that many of these volunteers helped out on more than one day. There were dentists and dental students, public health students, staff, medical students, physicians, and residents. All working long hours providing essential services to over 4,000 patients. It was a huge, big-hearted presence. Multiple times members of our community would find each other, give each other a high five or a hug, and keep working. This is only one of many ways that our community comes together for the good of the region. Thank you to everyone who worked to make the clinic possible. We impacted many lives this year! Dr. Claudia Finkelstein was the primary care director of the Seattle King County Clinic. She is also a general internist in the Department of Medicine and directs the UW School of Medicine Faculty Wellness Programs.